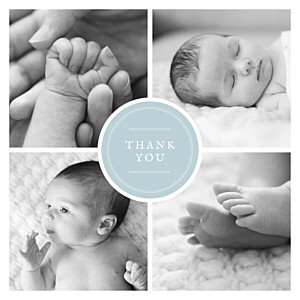 If you have been overwhelmed by the kind gifts and gestures of your friends and family since the birth of your little boy, then return the favour by treating them to one of our stylish photo baby thank you cards, that are sure to make them smile. 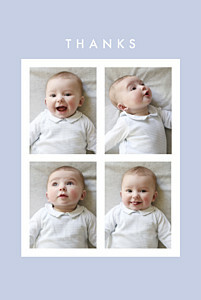 They will be delighted to receive an updated photo of your little one for their collection, as he is sure to have grown since you first sent out your photo baby announcements. Choose from our range of exclusive designs to share only your favourite baby photos or accompany them with adorable illustrations. No matter which design you choose, your baby thank you cards are in good hands thanks to our complimentary retouching service. Seeing as we know that a new baby can be a bit of a handful, we have made it as easy as possible to personalise your baby thank you cards using our online editing tool. 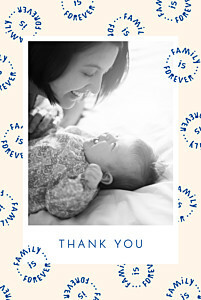 Create your own unique baby thank you cards by uploading your favourite baby photos, and adding the text of your choice. 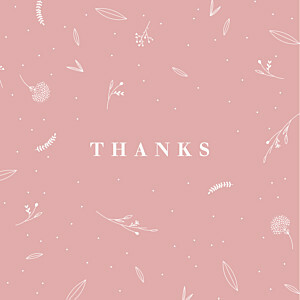 You can even leave the baby thank you cards blank if you want to add a more personal touch, with a handwritten message. 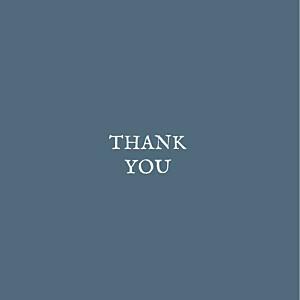 You can personalise your baby thank you cards right down to the font you use and the colour and size of your text. If you still need help personalising your baby thank you cards then do not hesitate to get in touch with our friendly team! 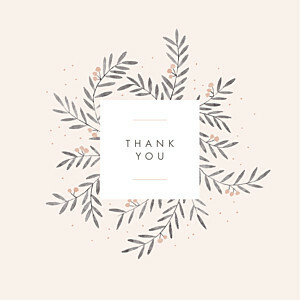 You may also wish to take a look at our baby thank you card wording advice for some inspiration for what to write on your baby thank you cards.